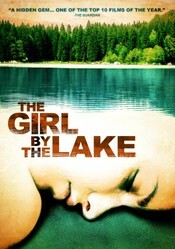 The Girl by the Lake is the English title for the Italian film La Ragazza del Lago, which in turn is the film version of Karin Fossum's Don't Look Back. Readers worldwide appreciate Karin Fossum (born November 6, 1954) as one of Norway's leading writers. Karin blazes literary trails in poetry and prose. She claims such prestigious honors as Tarjei Vesaas's debutantpris for her first poetry collection, Kanskje i morgen (Maybe Tomorrow) of 1974, and the Glass Key award and Riverton Prize for her second crime novel, Se deg ikke tilbake! (Don't Look Back) of 1996. The worldwide popularity of fictitious Oslo-based police inspector Jakob Skarre's crime-solving adventures demands making Karin's novels available in 12+ languages. Filmed formats emerge as lucrative supplements to the ongoing series. La Ragazza del Lago -- The Girl by the Lake with English subtitles -- of 2007 finds worldwide respect and revenues. 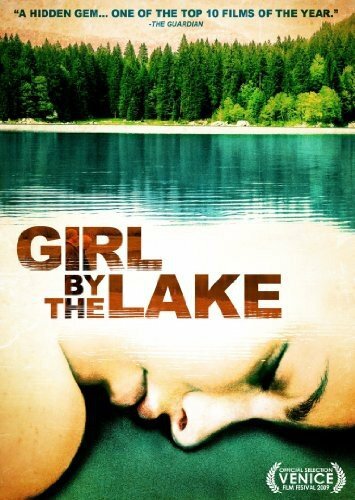 La Ragazza del Lago (The Girl by the Lake) is an award-winning Italian film based on an award-winning novel by Karin Mathisen Fossum, Norway's best-selling author of crime dramas. Widowed father Davide Nadal (Marco Baliani). 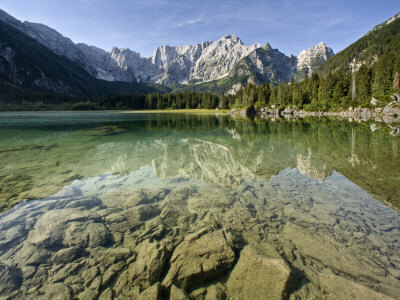 La Ragazzo del Lago unfolds amidst the stunning scenery of Laghi di Fusine (Fusine Lakes), which comprises two lakes, Lago Superiore ed il Lago Inferiore, considered as exemplary alpine lakes. her previous employer, Corrado Canali (Fabrizio Gifuni). Mario's wheelchair-bound father (Omero Antonutti) resenting Anna's long, slender legs. Silvia mentions Anna's removing a bronze angel from three-year-old Angelo Canali's tombstone. Police ultimately need to release Roberto. Corrado opts to confess to killing Anna. He prefers not to discuss Anna's blaming and threatening him for Angelo choking during breakfast. Giovanni eagerly quits small town mysteries for big city drama. He relishes time with daughter Francesca (Giulia Michelini), a truant high school student whose D in history looks worse than F in Latin. He savors moments with his institutionalized wife (Anna Bonaiuto), who considers him her University-teaching brother from abroad and co-inmate Carlo (Giuliano Zannier) true love. Italian actress and model Alessia Piovan (born May 20, 1985) plays Anna Nadal, whose mysterious death is clarified through flashbacks. Mira, there actually is a fine Norwegian version as part of one of Norway's television mini-series offerings. It just lacks the following and reaction which the Italian version understandably inspires. It's sort of on the order of the Wallander series, whereby the Swedish programming isn't as accessible or well-known as that starring Kenneth Branagh.